The Headless Clown – magic automaton by Pierre Mayer . UN NOUVEL AUTOMATE DE PIERRE MAYER. 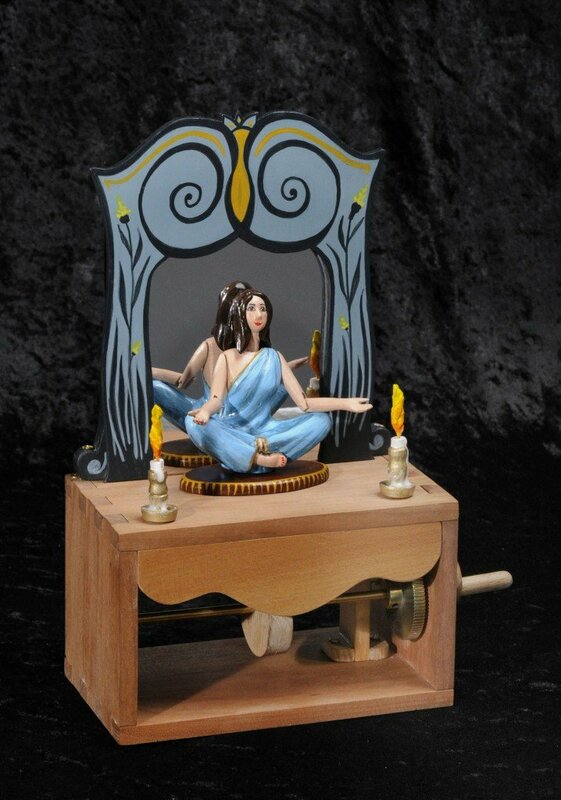 This automaton differs from the previous one: the Fechner’s levitation. It uses a complete different principle, no magnets this time. Laetitia floats in the air when you turn the handle and the arms raise. A mirror in her back shows there is nothing to hide and creates a perfect illusion for this levitation. Also the flames from the candles twirl and move up. Legend has it that one fateful New Year’s Eve, the beautiful Laetitia spied a handsome stranger – Richard Garriott – riding atop a magical Octopus. But who was this mysterious man, said to walk among the stars ; and how could she catch his eye – let alone, his heart ? The story goes that at the stroke of midnight, Princess Laetitia snuck up behind him and stole a single kiss. Richard was so moved by both her beauty and the newly awakened passion burning in his heart, witnesses claim the couple floated, arm in arm, up into the heavens – where they continue to live happily, forever after. 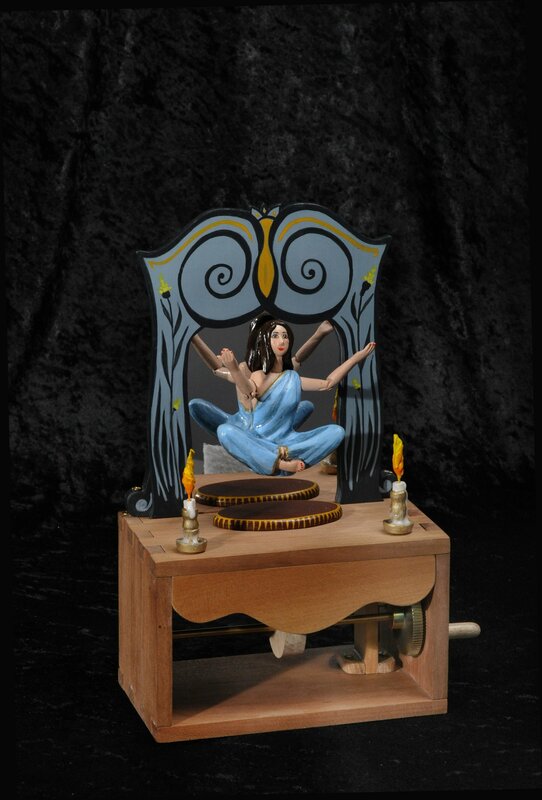 "Laetitia, Princess of the air , by Pierre Mayer" a été publié le 9 décembre 2011 par pmm, et est classé dans la catégorie new automata. Suivant: The Headless Clown – magic automaton by Pierre Mayer .